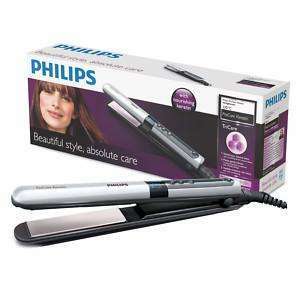 Philips ProCare Keratin Ceramic Straightener. Get unbelievably smooth and shiny hair with the keratin-infused ceramic vibrating plates of this Philips hair straightener with fast heat up. Use the digital controls to set the heat that your hair and style need. Keratin infused gently vibrating plates for extra smoothness and shine. 15 second instant warm up.